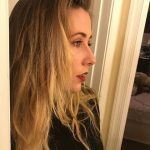 Despite the challenges, Quit has been working in the Richmond drag scene for more than two years. It’s a competitive field that has the potential to make money, but only if the drag performer has a high following. Long before the hit television drama RuPaul’s Drag Race began in 2009, bringing the world a competition in which drag personas battle one another to determine the next “drag superstar” for 10 seasons and counting, Richmond’s own drag scene was alive and thriving. Forming in nightclubs around the city, the drag community grew as LGBTQ populations flocked to see and become a part of this diverse and multifaceted family. Drag is a complex and open community for people to explore their art forms. This includes performances, theatre, comedy and pageant. Performance drag is defined by lip-syncing and dancing to songs. Theatrical drag is based in Broadway-type musical renditions, as performers celebrate drag in its earliest form. Comedy drag is a broad landscape of stand-up, theatre, and even performance; it is often defined by its campy appeal. Pageant drag is similar to Miss America pageants, where drag personas must prove themselves in style and talent. Shanita Quit, like many other local queens, understands the amount of competition it takes to make it in the drag world. In a changing scene, people are constantly coming up with new ideas in order to get bookings. Quit explained that it is important to become someone who can do it all, including knowing how to sew. Drag is an expensive art form between buying make-up, clothes, materials to make costumes, and other essential performance-related materials, the cost of doing drag can outweigh the monetary reward. This is why marketing and promoting is essential for the livelihood of drag personas. “There is money to be made,” Quit explained, “but it is directly related to your popularity.” According to Quit, the goal is to develop a popularity and be booked for drag brunches, as they make the most money on average. In an article entitled “Sashay Through the History of Drag Queen Culture,” Popsugar’s Ryan Roschke explained that every city has their own unique drag culture. “There is no one specific way for drag to manifest,” Roschke wrote. “Every city has its own drag families, its own drag culture, and its own drag history.” One of Shanita Quit’s fellow performers, Chase Keech — better known by his stage name, Chicki Parm — agreed, describing Richmond’s drag as a harmony of both stylistic drag and performance drag. Major cities known for drag include New York City, Chicago, Atlanta, and Los Angeles, all of which share a large population of drag personas and leave little room for newcomers. Richmond is different in this regard, as it is a much smaller city. With a smaller population, there is less competition, allowing new drag personas to emerge and develop their talents. That being said, there are only three venues in Richmond known for drag performances: Godfrey’s in Jackson Ward, Babe’s of Carytown, and Fallout in Shockoe Bottom. According to Chicki Parm, Godfrey’s is more traditional drag, with most performers doing showgirl drag. On Godfrey’s website, they state that their drag “entertainers represent the best of female illusion and entertainment. These ladies uphold the highest of standards, which has become the cornerstone of our success to this day.” However, according to Parm, there are a lot of rules the performers must follow, and it is hard to book. Parm said they do not allow femme queens — transgender women who do drag. Parm described Babe’s of Carytown as offering both traditional as well as progressive drag. Progressive drag refers to queens who push the envelope outside of traditional female impersonation. This includes being androgynous, choosing not to wear nails or pads, and not conforming to one gender. “The creativity coming out of these drag artists is astounding and the audience cannot get enough,” said Jackie Bishop Wells, Fallout’s event coordinator. Fallout’s drag scene has remained steady throughout the years, with an average attendance of 50 to 80 people — a number that is high for weekend performances. It features two to four drag shows a month and is currently working on a show which features Drag Kings, male impersonators, and Femme Queens. Wells explained that the demand for more non-traditional drag has increased in recent years. This demand has led to competition between other venues in Richmond. However, according to Wells, no one is actively trying to outdo one another. Fallout’s only guideline to their drag shows is professionalism. The bar does not want to limit the art form, and therefore does not require drag personas to wear padding — a tactic that simulates the illusion of the female form — nails, or any other traditional signs of female gender conformity. With only a handful of clubs, many of Richmond’s drag personas have started to branch out, taking on the role of creating and booking their own shows. This is true for both Shanita Quit and Chicki Parm, who are constantly trying to build their name in the drag and LGBTQ communities. As drag begins to grow in Richmond, more restaurants and places are opening up to the idea of drag performances in order to boost appeal, Quit explained. Quit hosts her own show at the New York Deli on the first Sunday of every month, at which she features a cast of four drag performers. Quit describes the event as a variety show where new talents can showcase their art. Although there are more well known cities for drag, many performers choose to stay in Richmond and continue to grow their name. Shanita Quit’s drag daughter, Tony Okonski, is one of these. He’s a newcomer to the drag scene, with just one performance under his belt, but Richmond is where he wants to be. His persona, Gen Defuk, is a perfect example of the new progressive wave of drag. Gen Defuk is a non-binary persona with a political undertone, working to normalize gender and sexual fluidity. “I believe in making big statements peacefully and as conflict-free as possible,” Okonski said. Drag is a community based in family and traditions. The idea of drag mothers and drag daughters is emblematic of the role family plays into the LGBTQ community. Drag mothers are typically older drag queens who had been in the business awhile. In earlier eras, younger drag queens were often abandoned by their biological families for being queer. This led to the older drag personas taking younger ones under their wing, and teaching them what they know. Although this practice is not as necessary as the world becomes more accepting, these ties are still strong in the community, and the tradition lives on in Richmond, in spite of the fact that drag is naturally a competitive line of work. Melanin Monroe, a Richmond-based performer and a performer in Shanita Quit’s show, explains why the role of family is one of the reasons she has remained in Richmond. “There’s a lot of support, and there is always somebody around that will be willing to either teach you, or give you an opportunity to get your foot in the door,” Monroe said. For many, drag is not just a performance art, but an acceptance of the complicated nature of sexuality and gender. 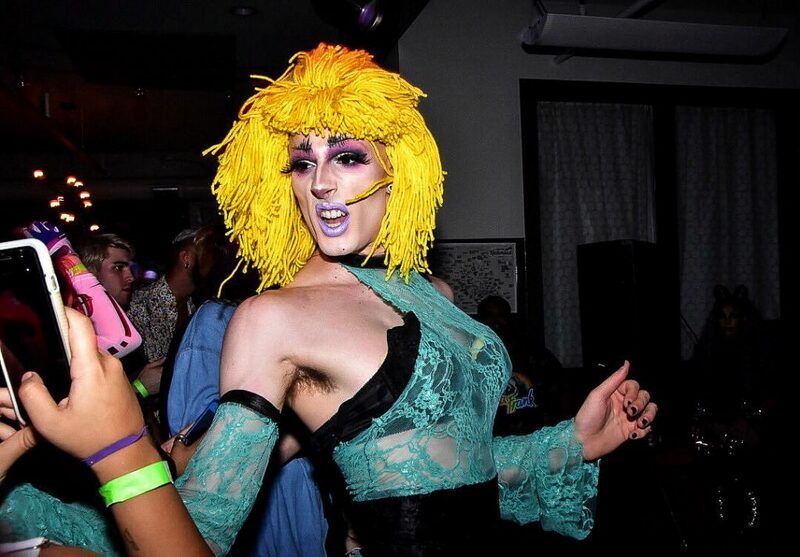 For a new generation of Richmond drag personas, the familial feel of the local drag scene satisfies the need for acceptance that fuels familial ties. As a new generation of drag performers comes into their own, Richmond’s drag community is poised to thrive for years to come.